Queens Birthday weekend – wasn’t that just the most glorious weather? I think the whole of New Zealand must have been outside enjoying the day – not bad for mid winter. And not a bad day for Maurice Clark either, who has been made an Officer of the NZ Order of Merit, recognising his unstinting appetite for taking on difficult heritage restoration projects, and then carrying them through to completion with flying colours: “for Services to heritage preservation and to the construction industry.” There is also a George Farrant (Heritage Manager for Auckland Council) who got a higher honour: CNZM, also for services to heritage preservation. There aren’t many architects recognised as worthy of an honour, yet again (although I did get excited for a second when I saw that Christopher Kelly had been recognised with an honour, briefly, until I realised this was an honour for services to Agriculture, not Architecture), but Peter Haythornthwaite has been honoured with a ONZM for services to Design, and fantastically, Bruce Dickson from Wanganui, recognised with a MNZM for services to Architecture. 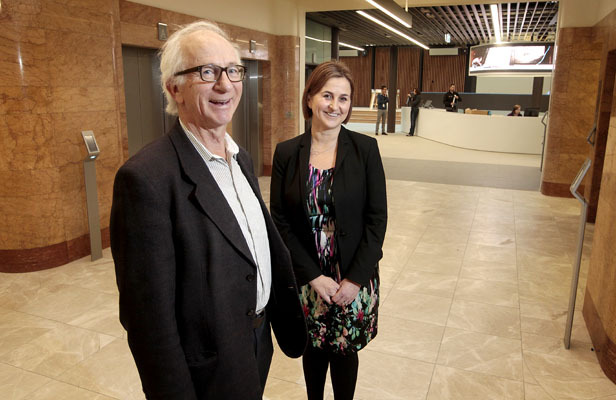 Well done Mr Dickson – of course, the Dickson from DLA Architects, the architects for the building we were just talking about the other week. 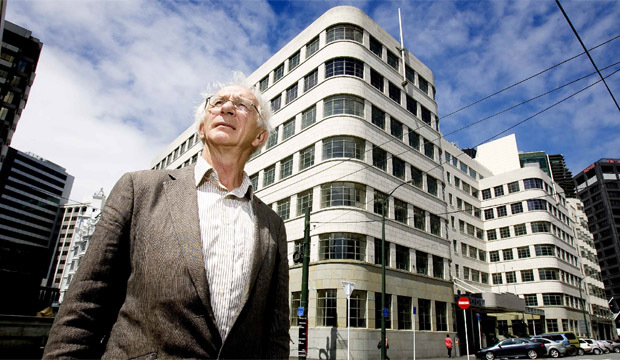 Haythornthwaite is a designer of many years standing, recognisable at least as much for his ridiculous name, as for his excellence of design, but it is truly quite an extraordinary thing for an architect from Wanganui to be recognised for his works of architecture. Doesn’t happen very often, if ever at all. 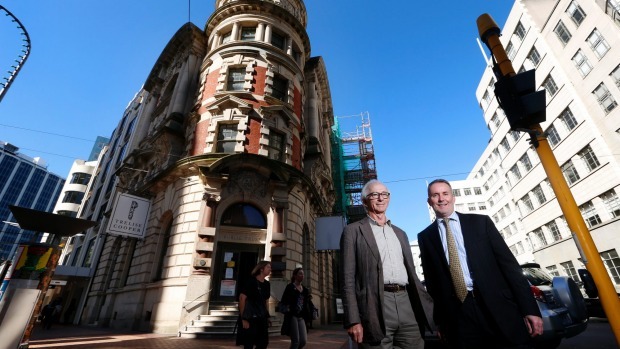 Maurice Clark is a home town success though, as a man with a total love of Wellington, and a love of heritage. He is often described as a property developer, and he owns the building contractor company McKee Fehl, but he describes himself as an Engineer, and deep down, he is still an engineer right to his core. Not just any engineer though, Clark has, apparently, the sensitivity at times of an architect and certainly has a penchant for doing up old buildings. 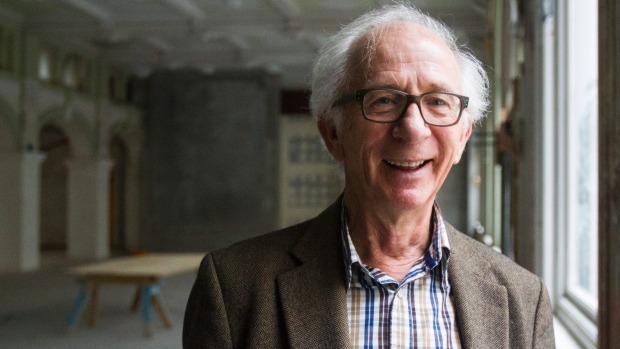 Recently he was honoured at the NZIA awards with the Ath Cup, the highest accolade a non-architect can win at the awards, and he has also won awards from the Civic Trust as well. Let’s face it: Maurice Cruikshank Clark is everyone’s favourite uncle, although I’m sure that didn’t sway the government’s mind when it came to Honours time – the fact that he has just restored two old central Wellington heritage buildings and leased them back to the Government is probably a good way to get noticed. One of these buildings is the old Defence Force building, which is now occupied by the super-sized Ministry of Everything i.e. Moby, and the other is just across the road and is the Old Public Trust building, now occupied by the Ministry for Culture and Heritage. They love it there, in their new WaM fitout. In both of these buildings, Clark has taken a building that has been abandoned and cleverly refurbished it. With the Stout Street Departmental building, the building had been vacated by Defence when they moved to new swanky offices. Some people evidently thought that the building (from the 1930s) would need strengthening, but Clark’s instincts as an engineer proved correct when he tested the building frame: having been designed and built by the Ministry of Works, it proved to be as strong as an ox, and is rated even today as being far in excess of the current building code. Not so the Public Trust building though. 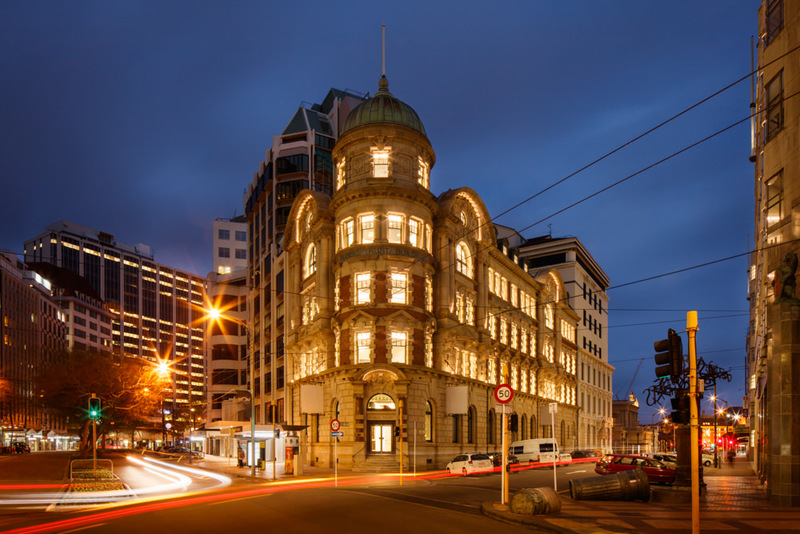 Despite being NZ’s first building with a steel frame skeleton, this Edwardian marvel had developed some big cracks in the floors during the Seddon quakes a couple of years back, and with the facade consisting of massive stone blocks and unreinforced brick masonry, it needed a new structural system. Dunning Thornton were brought in as the engineering consultants, and so, although yo wouldn’t really know it to look at it from the outside, the building now has new concrete floors inside, tying the facade walls together, with two massive shear walls inside (one of which can just be seen behind Mr Clark in the photo above) to keep it standing in the case of another quake. Other property developers would have just demolished the building, putting it in the too-hard basket, and other building contractors would have run a mile from tackling this project, but it seems that Clark relished the chance to get stuck in and save this old lady, complete with all her Edwardian frills. Just one thing is still lacking: a tenant for the ground floor. It was destined to be NZ’s first Jamie Oliver restaurant, but that has fallen through, so the space is still vacant. It’s a lovely space, with all the original features intact – and crying out for a special tenant. Who is going to take it on? It is definitely for projects like this that Clark has been recognised with an honour, for spending his hard-earned cash on heritage restoration projects that others avoid, but he also has one other character trait: he’s always a hit with the ladies. He is always warm and friendly and as cuddly as a favourite old teddy bear: not bad traits to have and especially unusual traits for a property developing engineer to have. I think the honours system has got it right this time. The Dom Post has obviously been reading the Eye of the Fish, as just today they have posted up this article, acknowledging what has been noted above, about Jamie Oliver’s restaurant now not opening. Good article, but very disappointed with Fairfax – I couldn’t see any mention of this well-deserved honour in the DomPost (except in the official list) or the Wellingtonian. 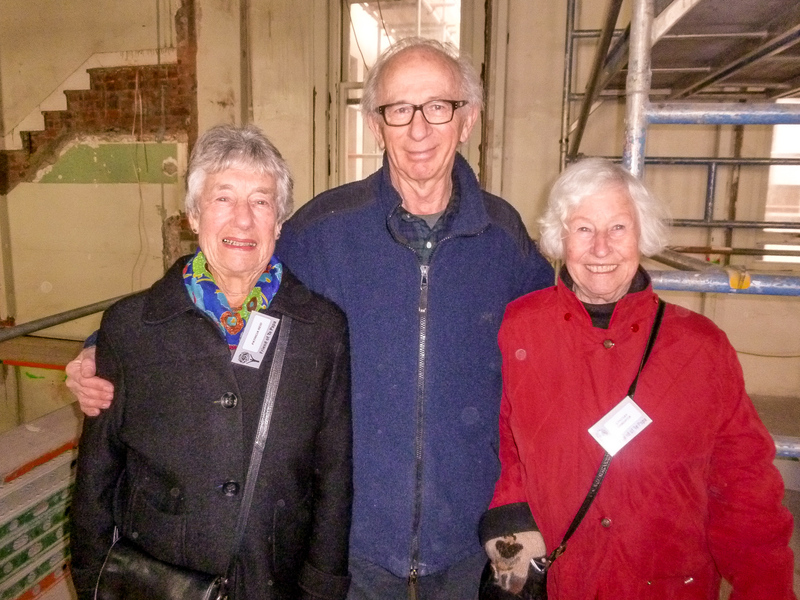 I believe he also provides the premises for the Wellington Men’s Shed on very favourable terms and is a stalwart of the Wellington Civic Trust, so an all-round (if unrecognised by the media) good guy.